Since the initial publication of Introduction to Art Therapy Research, interest in this field has grown dramatically along with public policy demands for an up-to-date, culturally relevant evidence base on which to practice. This revised and expanded edition pays particular attention to the field’s unique and compelling questions, most current literature, and emerging trends in research, while guiding readers through the basics of qualitative, quantitative, and art-based research design. 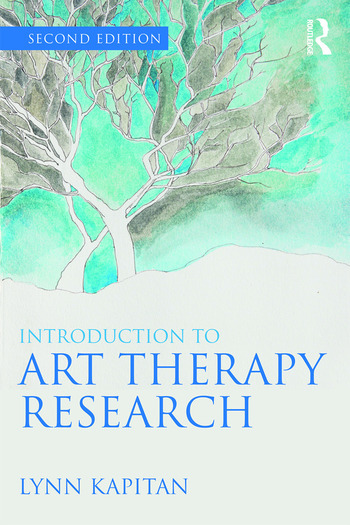 Written by a prominent figure in the world of art therapy, this pragmatic text is organized into three parts: Part I provides an overview of the basic steps in conceptualizing an art therapy research study, with an emphasis on perspectives that are intrinsic to art therapy. Chapters in Part II cover an inclusive methodological framework from quantitative and outcomes research to qualitative, practitioner-based field research, critical-participatory orientations, phenomenological and narrative approaches, and the growing influence of art-based research in art therapy. Part III offers up-to-date ethical guidelines and valuable tools for understanding and evaluating research reports, as well as practical guidance for publication in scholarly journals based on the author’s long experience as the editor of the field’s leading scholarly publication. Also included are added coverage on cross-cultural research as well as high quality examples from published, peer-reviewed art therapy research studies that illustrate material throughout the text. Lynn Kapitan, PhD, ATR-BC, HLM, is founder, professor, and director of the Professional Doctorate of Art Therapy program at Mount Mary University in Milwaukee, Wisconsin. She is the former executive editor of Art Therapy: Journal of the American Art Therapy Association, as well as an honorary life member and past president of the American Art Therapy Association. The author of numerous research articles, editorials, and national and international keynotes, Dr. Kapitan has practiced as a social activist art therapist and research consultant for non-governmental agencies in Latin America.